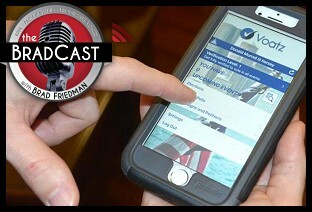 " WV Smartphone Voting Threatens Midterms, Offers False Promise of Security, Auditability: 'BradCast' 10/17/2018	"
« PREVIOUS STORY "Repubs Attempt State Supreme Court Coups in FL, WV as SCOTUS May Have Stolen U.S. Senate: 'BradCast' 10/16/2018"
"WV Smartphone Voting Threatens Midterms, Offers False Promise of Security, Auditability: 'BradCast' 10/17/2018"
"The effort is in response to a U.S. Supreme Court ruling last week which permitted a last minute change to ID requirements sought by state Republicans hoping to unseat Democratic U.S. Senator Heidi Heitkamp this year." And this goes to show the significance of Shelby v. Holder--the gutting of the Voting Rights Act. This is why pre-clearance was required. And it is time to make direct use of the Constitution.